There are times when a company comes up with more than one of its promising product at one time. There are two different possibilities. First, these products eat into each other’s sales and two, these products may complement each other’s sales and the company may drive volumes. Screen– Micromax Canvas 4 has got a 5 inch IPS display unit with 720p resolution. On the other hand, Doodle 2 has a larger, 5.7 inch HD display screen with 720X1280 pixels resolution. Off course, the bigger, the better. Moreover, the picture quality in Doodle 2 gets an edge over Canvas 4. 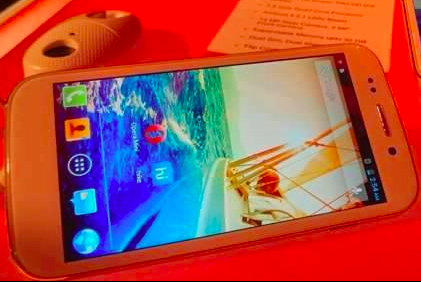 Operating System – Micromax Canvas 4 as well as Doodle 2, both run on Android 4.2 Jelly Bean platform. Hence, you can expect no winner on this front. Moreover, it is expected that both these phablets will be available with an operating system update, i.e., Android 4.3 Jelly Bean. Hence, even with update, the match will be drawn between the two. Processor– Gaming, video, and browsing capabilities on a device depend heavily on its processing capacity. Canvas 4 boasts of a 1.2 GHz quad-core processor and so is Doodle 2. Hence, the user interface as well as system speed will remain equal on either of the two gadgets. 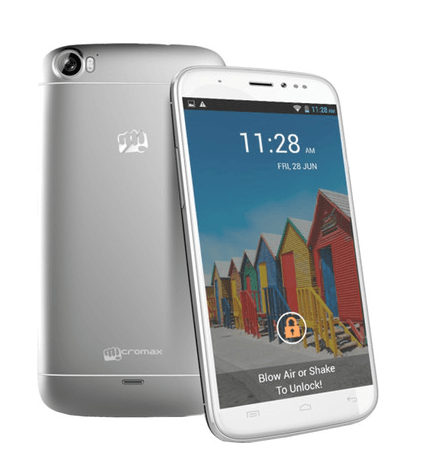 RAM and storage options– The Micromax Canvas 4 offers a 1GB RAM and 16 GB of internal storage. The internal storage capacity can be expanded by another 32 GB by using microSD card. As compared to this, Doodle 2 has got 12 GB of internal memory with expansion option for another 32 Gb. Hence, Canvas 2 emerges out as a clear winner in this case as it offers better more internal memory with similar expansion facility. Camera– Canvas 4 has got a 13 MP camera at the backside along with 5 MP camera unit which faces the front. On the other hand, Doodle 2 has 12 megapixel rear camera and a 5 MP front camera. Both these cameras come with LED flash. Hence, Canvas 4 gets an edge over Doodle 2 in this department as well. Connectivity Features – Doodle 2 comes out with dual SIM (GSM+GSM) with EDGE, Wi-Fi, Bluetooth, GPRS and 3G. Similar features are available in Canvas 2. Hence, nobody wins over the other on this front. Battery and other features– Canvas 4 has a 2000 mAh battery as compared to Doodle which gets powered by a 2600 mAh battery which runs significantly more than that of the former one. While Canvas 4 can provide you with about 300 hours of standby time, Doodle 2 can do it 50% better by providing you with 450 standby hours. Talktime differs similarly. So you already know which has a better battery life. Both the devices have similar pre-loaded games and other apps like Facebook, Whats app, Hike, Spuul, M! Security and M! Zone. So, its again a tie here. Both come with features like Smart Pause, Skitch and blow and shake to unlock. Price– This is the most critical one. Doodle 2 is available for Rs 19,990 and for Canvas 4, you will have to pay Rs 17,999. Our take– Having read all the comparisons, its not a very difficult choice. Despite being an elder brother, Canvas 4 either wins or draws a parallel with its younger brother. While Dooldle 2 has a slightly bigger screen a better battery life, it offers noting much in terms of experience. If you are an enthusiast about the latest devices, then go with Doodle 2 else save almost Rs 2000 and buy a Canvas 4 for yourself. nor giving any satisfactory reply. Purchasing a Micromax product will increase your blood pressure. Remember – PURCHASING A MICROMAX PRODUCT IS INJURIOUS TO HEALTH. i have bought a doddle 2 & it do not have any memory card slot.